The estate, located in Saint-Seurin sur l’Isle, next to Saint Emilion, dates back to 1750. 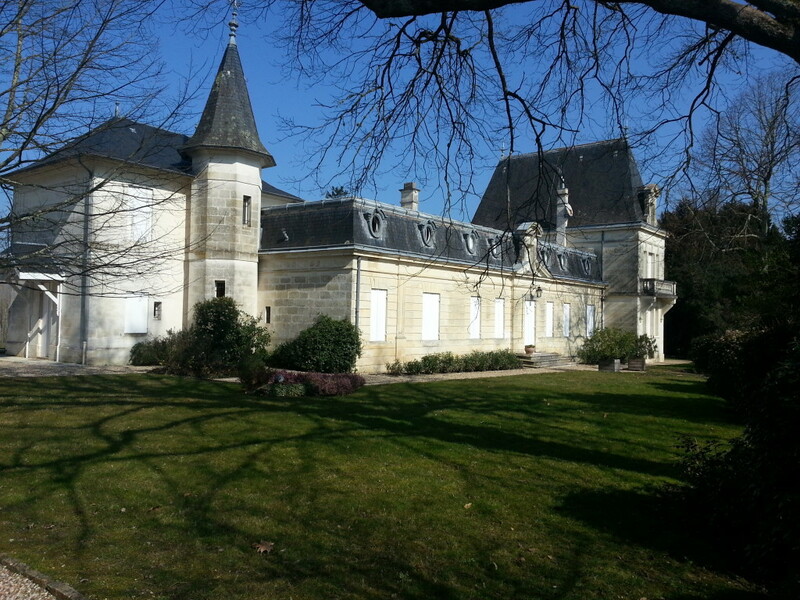 In the 19th century a grand family in Bordeaux bought the estate and renovated the chateau. 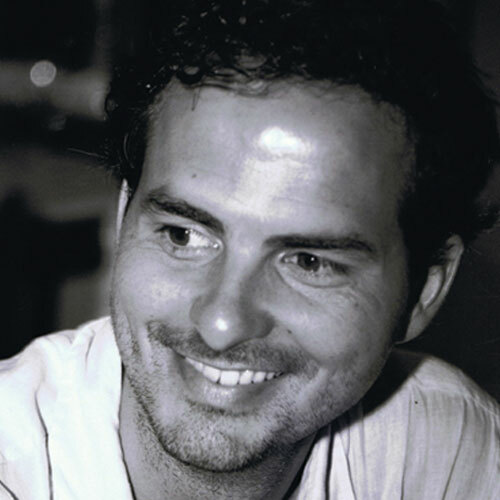 In 2010 Stanislav and Natalia Zingerenko purchased the Chateau. For them, wine growing is the strongest bond with the terroir and La Favière fulfills their dream. Today, they have put their passion and determination in making the estate a reference in Bordeaux. They have called in the most accomplished consultants and have revived the property heavily. 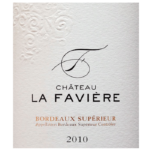 Their Bordeaux Supérieur is treated like a Grand Cru, using the same methods and disciplines. The estate spreads over 67 hectares; farming follows sustainable viticulture methods. The grapes are picked by hand. Vinification is conducted plot by plot to preserve the terroir character. 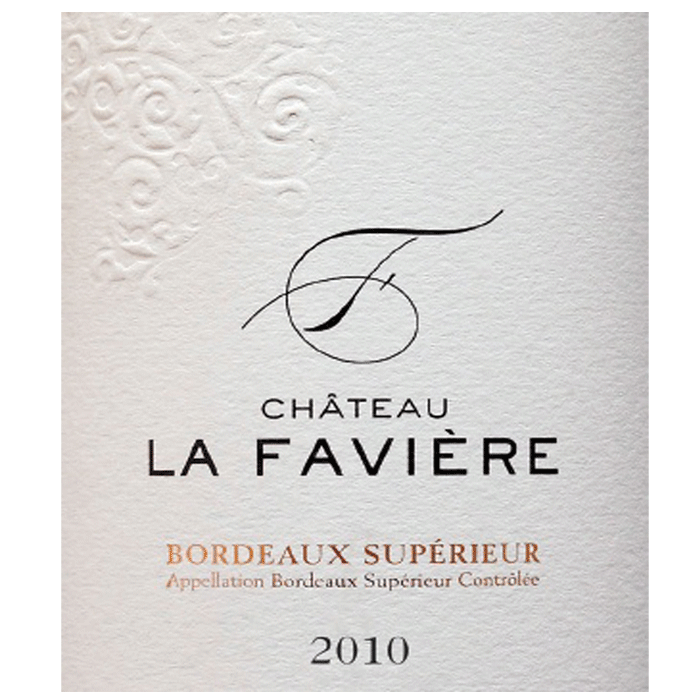 Georges Pauli (famous consultant of Grand Chateau) and the team at La Favière believe in the creation of a propitious climate of excellence. The harmony is in the land, the vines, the myriad daily tasks, the human ties. Nothing is left to chance. Intense amber color; ripened red fruit nose , black currant, blackberry, with deep wooden under- tones and truffles, cigar aromas. 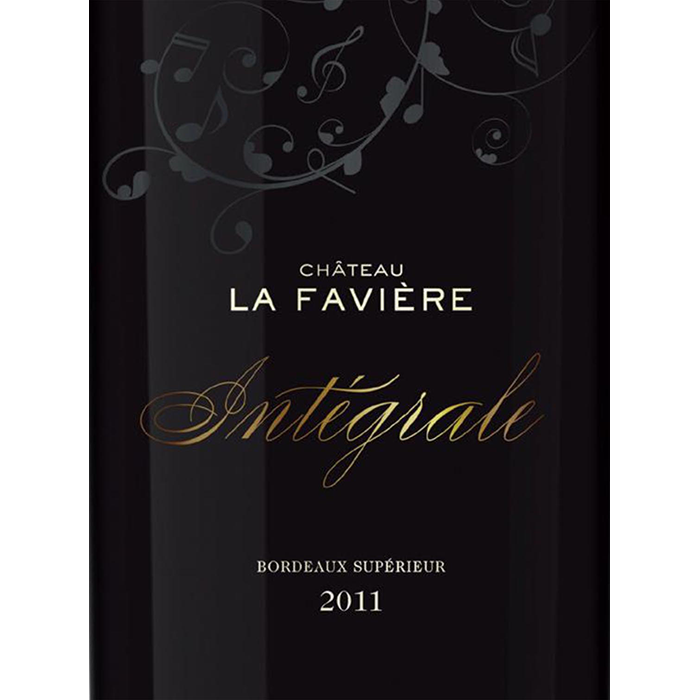 Suave palate and strong at first, it then develops into a more ample and generous wine. Smoked and complex finish. 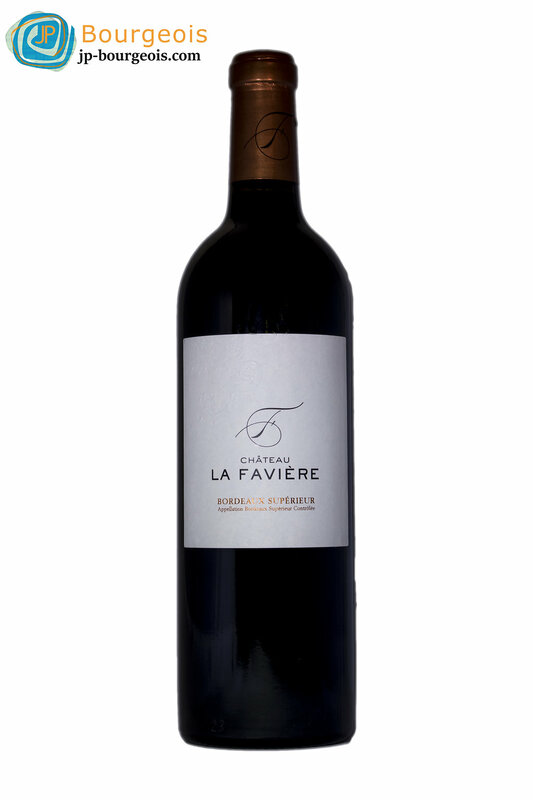 A rare and confidential cuvee from the estate, this amazing Bordeaux has a deep and intense red color and aromas of ripe fruit and black truffles. On the palate, it is ample and rich, with a very silky mouth feel. The finish is long and smooth, a perfect balance of fruit and spice. Best enjoyed within the next 20 years.